I love just being with my horses, and manège training (classical horsemanship) is reflected in my artwork. There is so much to observe and learn about the origins of horse’s natural movement, some of which is EquArts Atelier reading material**. The courses take place in South Leicestershire (a mile off the A6 south of Leicester) and where much of my work is in private collections. When making contact please mention the SEA website. **WereszKa, Suzanna. AIRS APPARENT, The Story of Flora the Lipizzaner ISBN 1 85845 1361. New Millennium. 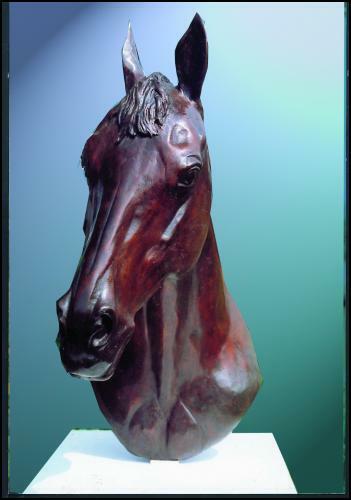 1997 see my website equestrianartcourses.com, also prints and bronzes.